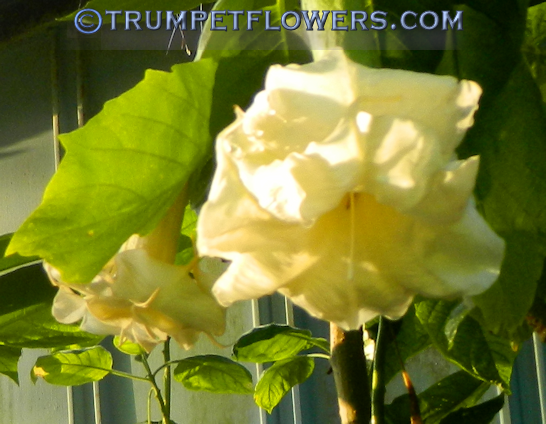 Hazelnut Buttercup is bred from Harlot X New Orleans Lady and was created by Gary Morales and seedling parented by Patricia Watson. It was published in 2010. 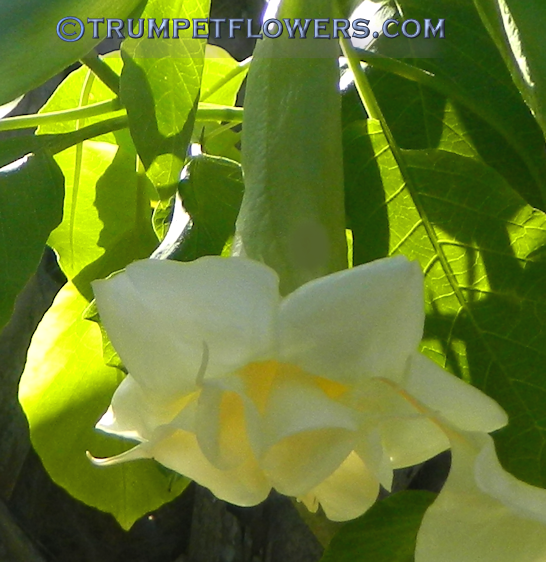 Hazelnut Buttercup is truly a beautiful, petite flower. 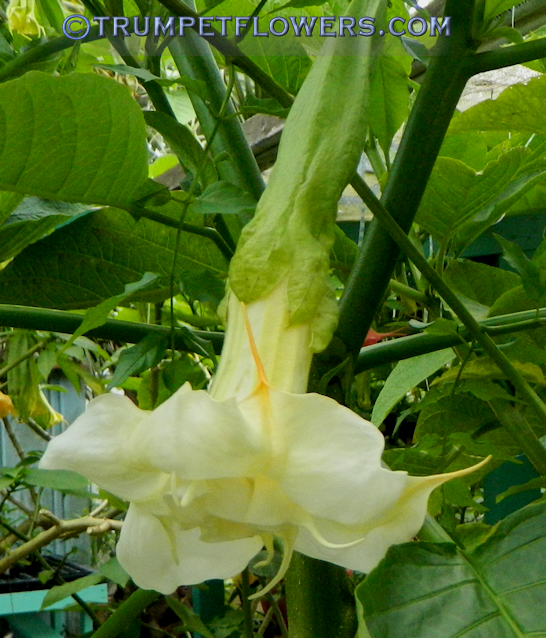 The scent is nice and heady, a touch of melon scent mixed with baby powder, at least to my husband&apos;s nose. 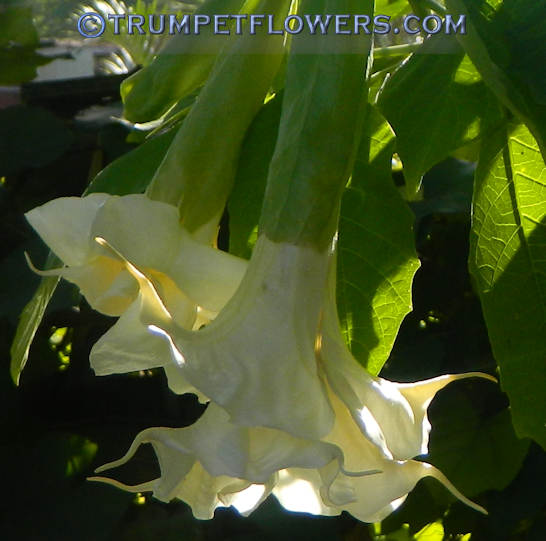 With her Daddy being New Orleans Lady, I expect the scent to be more intense as it matures and the blooms open wider mouthed. 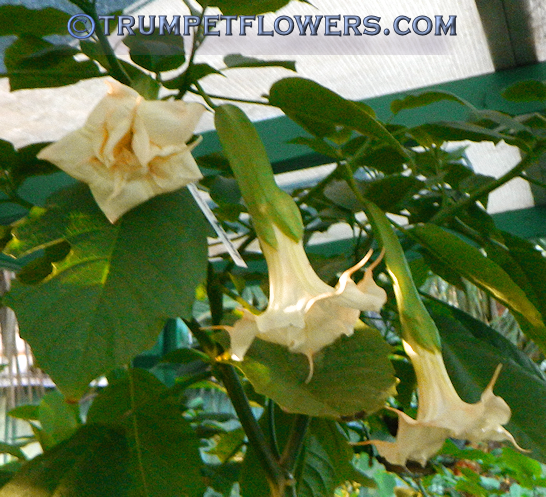 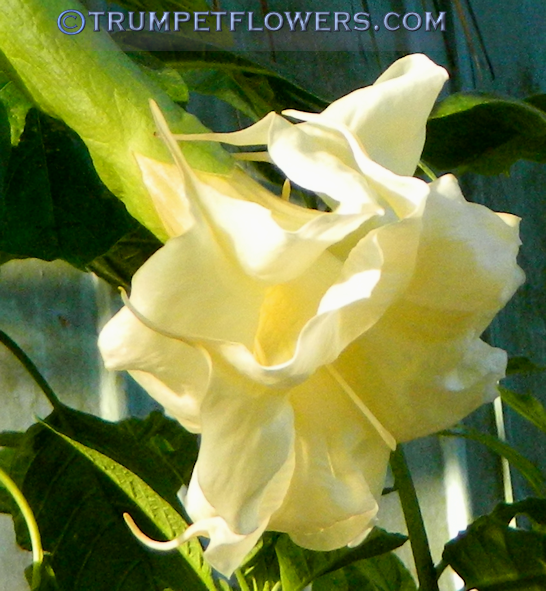 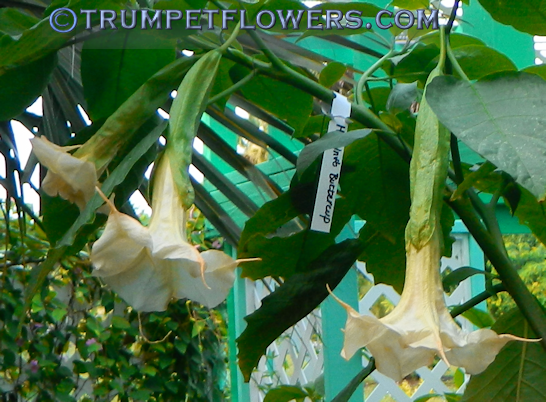 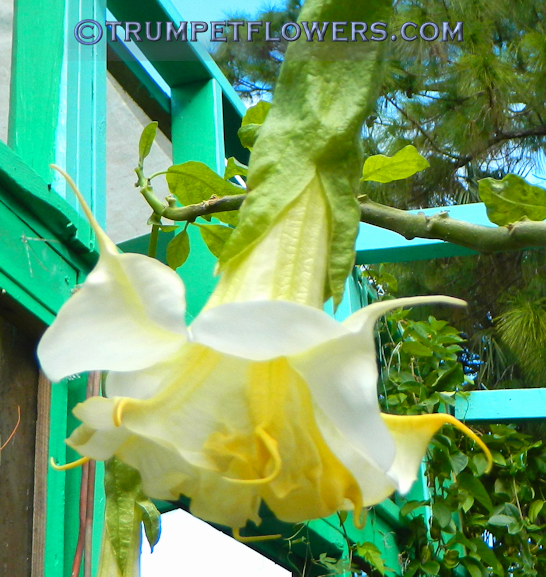 This entry was posted on June 22nd, 2014 and is filed under Brugmansia Gallery.